On the anniversary of his death, Friday 22 August, please join me in remembering Nico and all the happiness, love and laughter he brought into the world. We laid him in a box with blue skies and sunflowers and filled our house and the church with huge bouquets of sunflowers. Friends of ours and of Nico’s brought us more sunflowers, real, painted and ceramic and we keep them in pride of place. 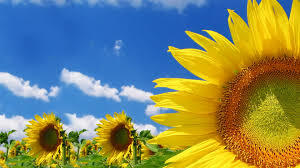 On 22 August I will be changing my profile picture on Twitter to a sunflower for one day. Will you change your Twitter profile to a sunflower too in memory of Nico and all the precious and loved young people who have died needless deaths, deaths by indifference, by neglect, by poor practice and by ignorance? We remember you all and always. On this day I want to fill the world with sunflowers– for Nico, for everyone, for all of us. Well this really made me cry! What you write is lovely and it carried me back to my boy Rich’s funeral. On Friday I shall think of Nico and the joy he clearly brought to your life. I shall also give extra special thought to my memories of Rich. Even more importantly perhaps, I will think of the oh so many families in a similar position to ours. Maybe the joining together of many people’s thoughts will help our voices be heard by those in a position to properly acknowledge what went wrong/could have been done better/differently and so actually start to change things rather than keep investigating case after case. The same conclusions are reached over and over again but it just goes on happening.The campaign to end the 1200 preventable deaths of people with a LD is so necessary. Yes, let it be a day of sunflowers and sunshine and of all your happy Nico memories. I’m sorry to have made you cry, but I understand your feelings. Too many, far too many preventable deaths and it sometimes feels as if only we, the families and a very few special people who support us, really care. You could be describing my sons legacy Rosa altho Eringiums were Richs favorite flower. But sunflowers were given to me by my lovely sister when I almost died from misdiagnosed illness (and this may have triggered a MH condition in Rich.) Rich lost his Dad to cancer, my husband was only 47…..and seems that this grief too remained unresolved! But today is for Nico and sunflowers always face the sun therefore let the shadows fall behind! Please always remember http://www.songfacts.com/detail.php?id=197. Thank you for your lovely words and I’m so, so sorry that you have had so much sorrow in your life. I will always remember your words now when I look at our sunflowers.